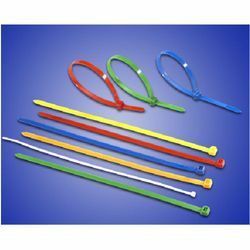 We are a leading Manufacturer of nylon cable ties from New Delhi, India. Nylon cable ties are used to bind wires or cables together. These are economical and are very convenient to use. Such ties possess a self locking mechanism. These are manufactured using high quality raw material procured from reliable sources.